Sorry for the delay, I've been out of town the last days. Thank you for making the campaign official, John! @Paul: With the added tracks, the kit is fine for this campaign. "kinda like a baby T-34", indeed! @Bryan: Make that account feel some real pain! Excellent choice for this campaign. Just like with the 500+ campaign, builds can be started before the official start date. The rules say, it shouldn't be more than 50% finished by November 30th but this is a soft value. I'm so glad we can make this happen! Have fun gentlemen! mmmhhh I'm in for this one !! Glad to see you joining us, John! 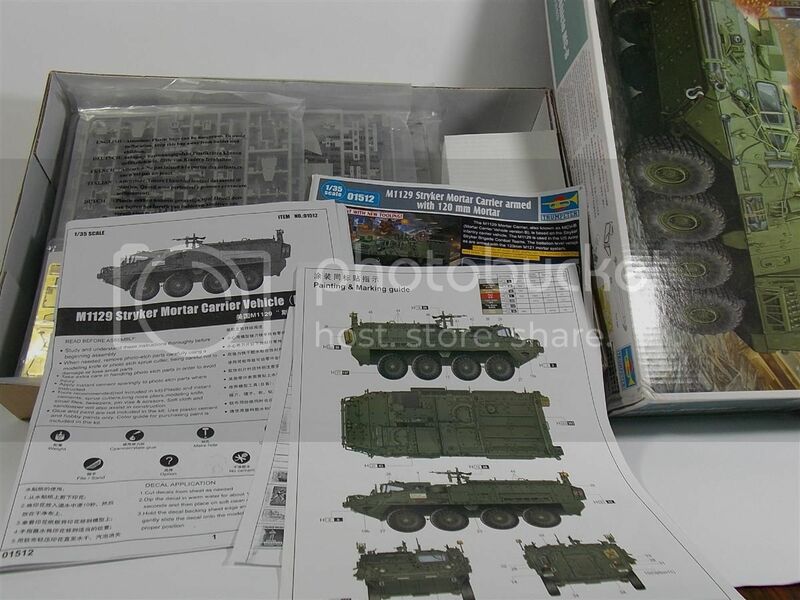 I wasn't able to find anything on the Cougar kit but the Bronco kit _without_ the slat armour has 650 plastic parts and 90 PE parts according this review so I can imagine the slat armour version has then even more parts. Thank you, Cristian, for finding out the parts number for the Buffalo.. I wonder why not all kit manufacturers list the parts number on the kit box? 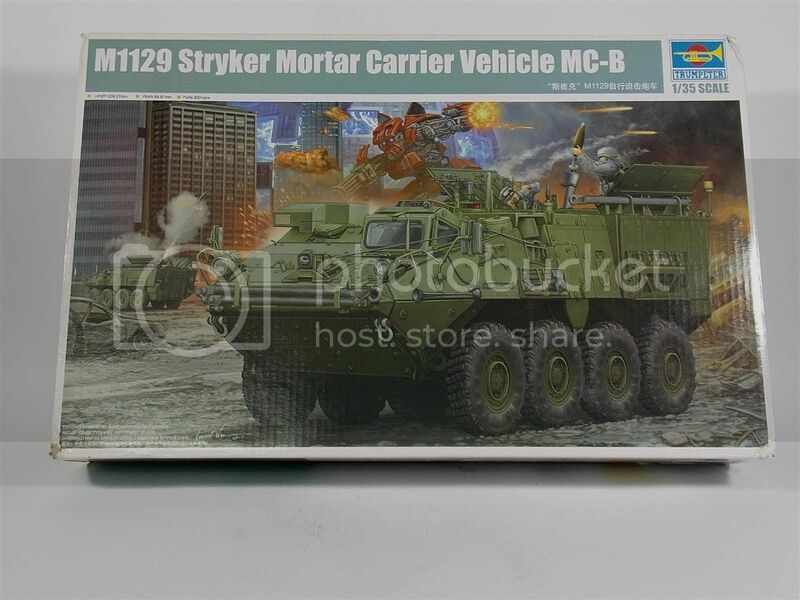 Anyway, I guess I'll be going with the Stryker - mortar carrier. Should be an interesting build. I'm looking forward to seeing more or your work. A very interesting choice, Hisham! Looking forward to seeing this one built. In light of the recent announcment of the Truck/Trailer campaign, and how both campaigns allow kits to be entered in other campaigns, I will be building the M1070/M1000 Hobby Boss kit. 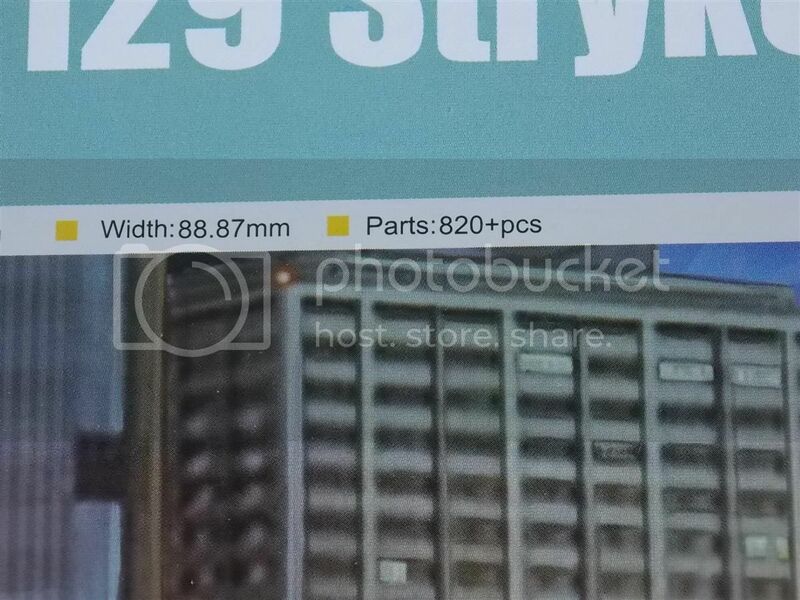 Without even counting parts, I'm pretty sure this kit exceeds 750 parts count. If this is ok with Cristian, this is what I'll do. Great choice, Dustin! The kit has 1450 styrene parts, 157 PE parts (on 11 frets!!! ), 50 vinyl tires plus some small parts. That is well over 750! The NATO three-tone camo would look really great on this one! Thanks Cristian. That's the only truck/trailer combo kit I own. Plus I didn't think I'd be able to build that and something for the 750+ at the same time. I've been putting off building this M1070 so this is a good excuse for me. Cristian, do you mind if we start on our kits early? I thought you may have said that already. I'm with Dustin on an earlier start date... A couple of the guys here are also joining the Truck&Trailer campaign, so why not move this campaign's start date to the 1st of Nov also... Why wait two whole months? As Paul has pointed out, it is OK to start the build earlier (rule #3 of the campaign). In case you are using a shelf queen, it shouldn't be more then 50% done. In case you are starting the build now, the 50% is not that important and can be exceeded but let's discuss this case by case if the situation arises. I'm with you on the start date, Hisham. However, this is not something I can control. The start date and duration are set by the campaign manager(s) and the one proposing it can only make proposals in this regards. Still, see above: builds can be started earlier. Welcome, Andras! Good to have you join! That's fine, Cristian.. like I said in my previous post, I have a small project I wanted to finish.. so, I'll just work on that now, and then start on this one later in November. This sounds like it could be a fun one if you don't mind a part time manufacturer. I need to build the Ryefield Tiger with interior to go with my FAMO 9/2 so I am pretty sure there is over 750 in the Tiger. Especially after 3 AM sets and scratchbuilding misc parts. All that is fine as long as the part count is over 750. Plus another 1000 in My Famo but that is over 1/2 done. We'd be glad to have you join, Billie Jean! You make a point there, Clayton! So...1456 + metal parts, wish me luck!